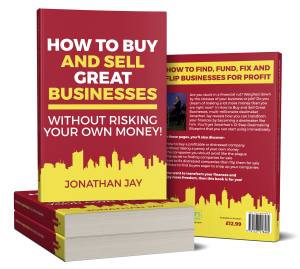 Hi, this is Jonathan Jay from the Dealmaker’s Academy with a daily tip on buying or selling a business. If you haven’t subscribed to this series, hit the subscribe button and you’ll get a notification each time a new video becomes live. So today I want to talk to you about business brokers and there are good things about business brokers. We’ll be discussing some of the good things about business brokers in this series and there are negative things about using a business broker that aren’t always helpful. We’ll be talking about those as well. But let me give you one of the very good reasons why you should be using a business broker, because they can save you a lot of time. The time they save you is because before the business comes to market, before the broker lists it, before they actually make it publicly available, they may have done at least six months of background work. Pulling together financials, putting them into what’s called a data room and doing a lot of leg work. Sometimes getting financials and information out of business owners is like pulling teeth. 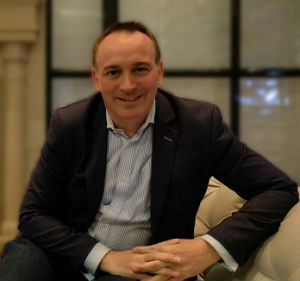 So the business broker has actually done a lot of the hard work for you and they’ve presented it, maybe a little too positively, but they’ve presented it in such a fashion that you’ve got it all there in one place and that’s a great time saver. So when you use a broker, you know that they’ve done a lot of leg work. Now there are disadvantages and we’ll come to those in future videos. If you haven’t subscribed, hit the subscribe button and I’ll see you on the next video.